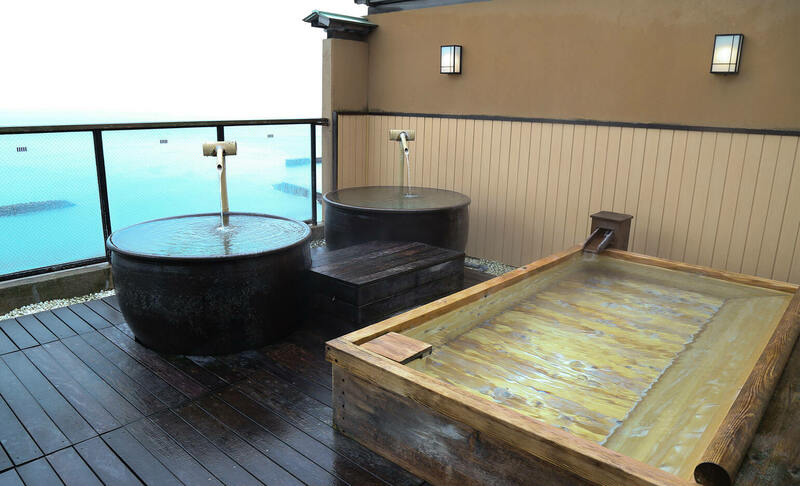 including the open-air bath that lets you gaze out at Ise Bay sprawling beneath your eyes as though you were in the clouds. 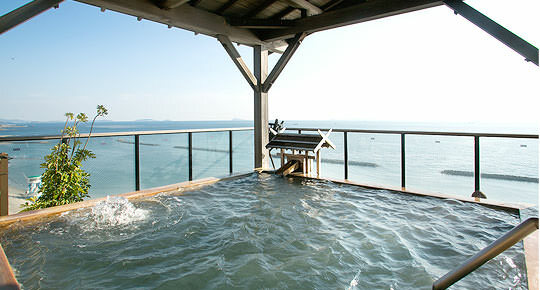 The entire top floor of our hotel (10th floor) is an open-air bath. 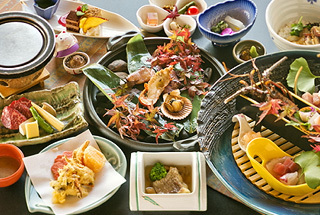 Experience a spectacular view overlooking Ise Bay. 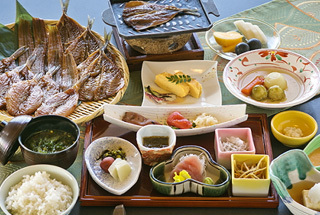 Called ancient “fossil water”, the waters of Choju-no-Yu (Spring of Longevity) contain an abundance of medicinal components that are beneficial against a variety of ailments. 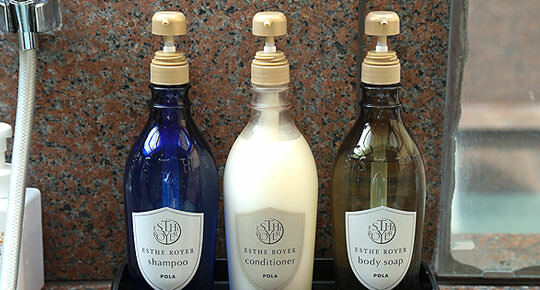 Select from a variety of shampoos, starting with Esthe Royer from Pola, a popular among women. 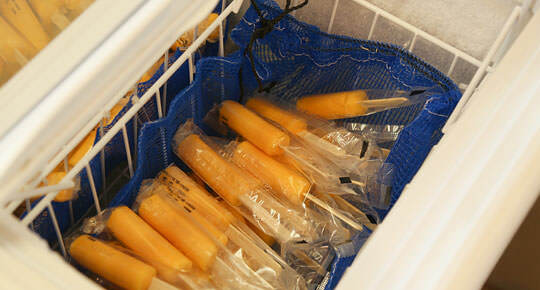 We offer sherbet at the rest area after your visit to the hot springs. The tranquil wilderness of Chita sprawling before your eyes. 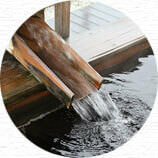 Enjoy a feeling of freedom, as though you were in the clouds, at this open-air bath. The gentle scent of cypress brings calm after all the exhilaration. 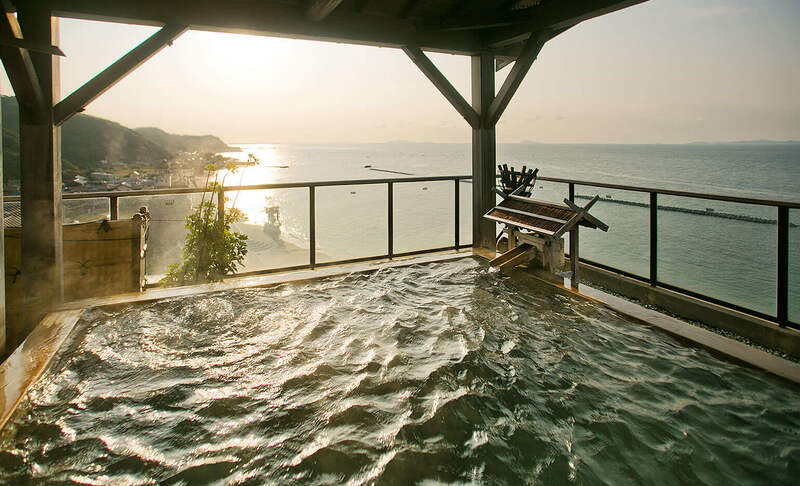 Break away from the hustle and bustle as you listen to the tranquil sounds of the waves. 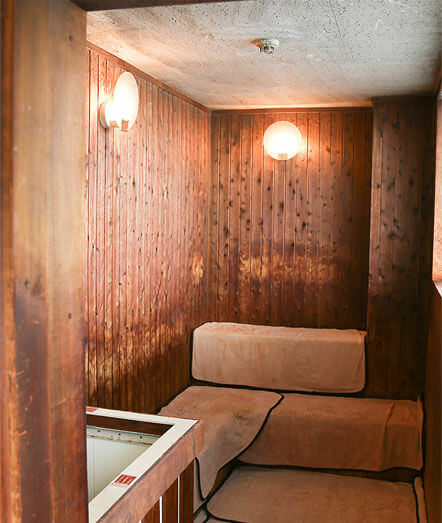 The sauna lets you experience ultimate relaxation without putting stress on the body. 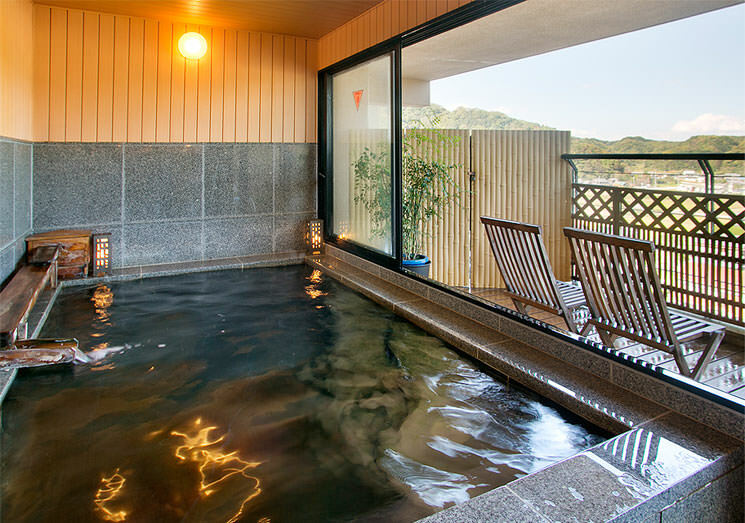 *The open-air bath is on the 10th floor, but the indoor baths are on the 8th. 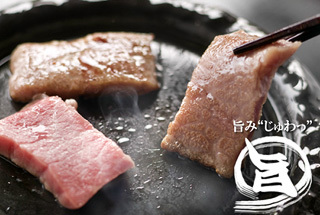 Spend a moment gazing out over a Japanese landscape somehow reminiscent of the past. 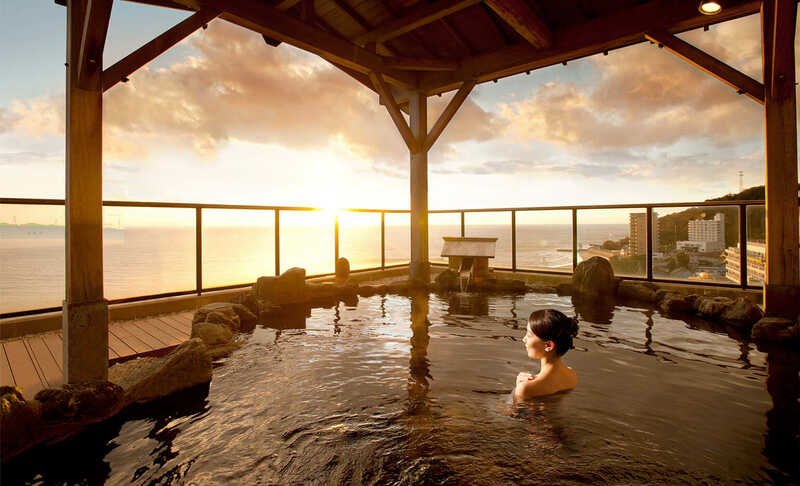 The open-air baths let you experience both the Minami-Chita townscape and a spectacular view of Ise Bay at the same time. Behold a slightly different yet alluring view as the sun sets. 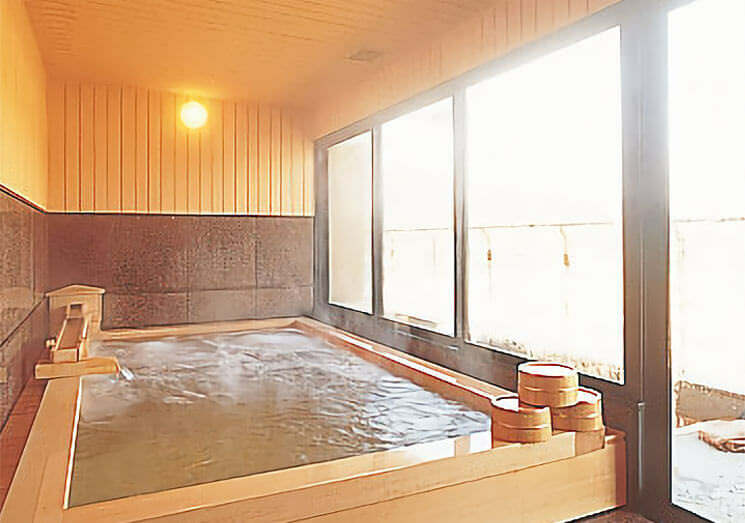 Experience a feeling of luxury with the tsubu-yu, or jar bath, which lets you have the tub all to yourself. 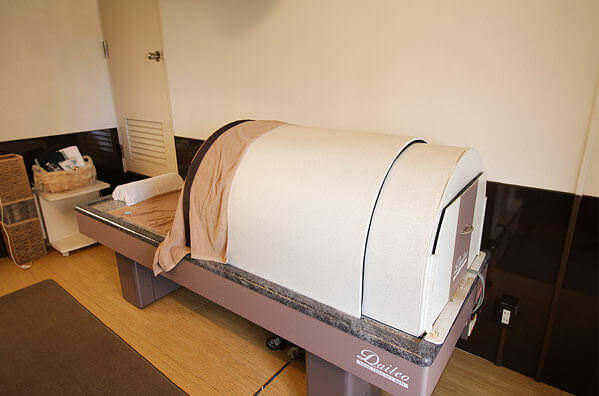 Neither too deep nor too shallow, the lie-down bath is designed to make you feel like you are floating. 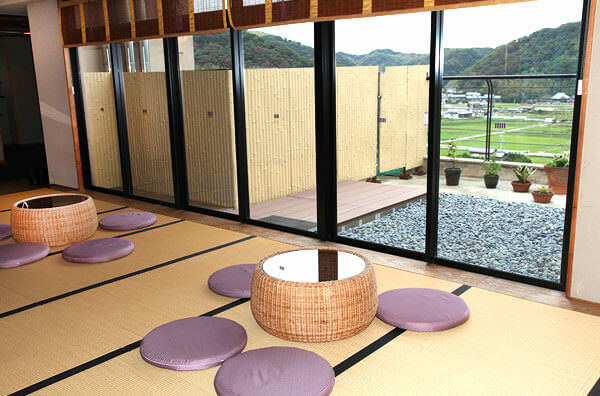 *The open-air bath is on the 10th floor, but the indoor baths are on the 9th. All of the bathtubs at our inn are open-air. While this lets you enjoy the spectacular view, being on the top floor means that the wind tends to blow, and some people may feel cold. 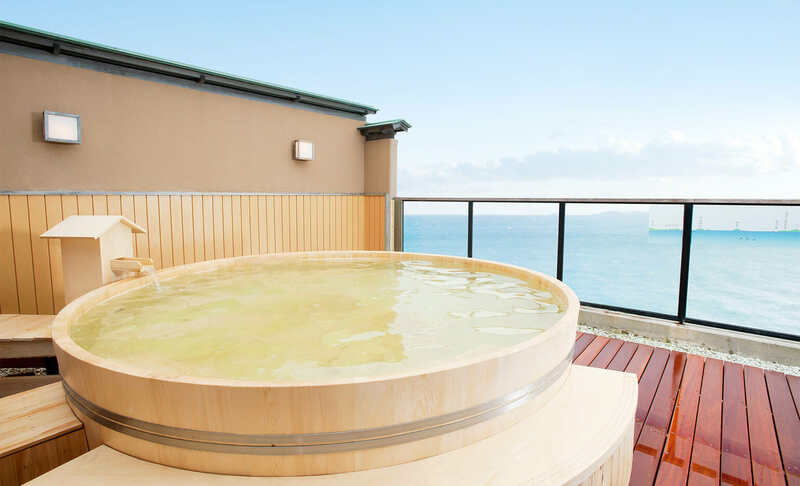 That being said, we want to maintain the bold sense of freedom provided by an open-air bath so that our guests may experience the grandeur of the Minami Chita scenery. We apologize for any inconvenience and ask for your patience with nature. 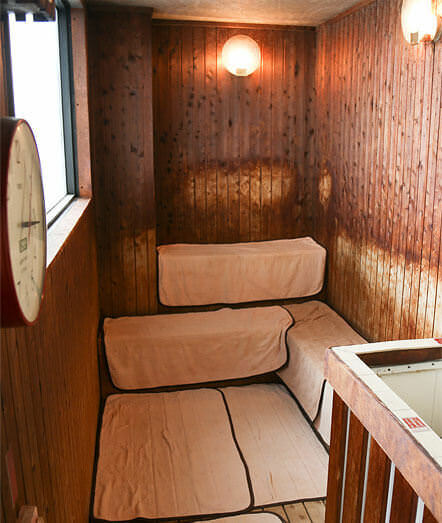 Those who are susceptible to cold may use the indoor baths available (9th floor for men, 8th floor for women).